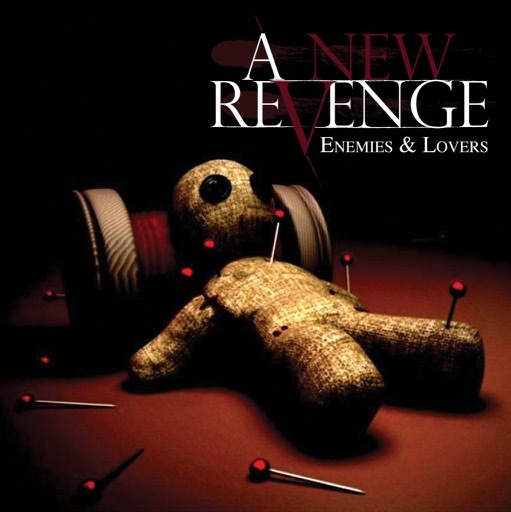 Los Angeles-based outfit A NEW REVENGE, featuring an all-star line up of classic Rock players, will release their debut album, "Enemies & Lovers", on March 29th via Golden Robot Records. Supergroup is a term that has been diluted over time. Throwing a bunch of people from other bands into a new project doesn’t automatically make them Super, but their bio’s will tell you otherwise. It’s time to seek revenge and reclaim that word. A NEW REVENGE is the very definition of a supergroup. One who’s members have more than earned their legendary statuses but also remain humble enough to let the music do the talking and not actually rely on the term. So who is out for A NEW REVENGE? Featuring one of the finest voices in Metal of all time, Tim "Ripper" Owens (who’s voice is all over albums from JUDAS PRIEST, ICED EARTH and Yngwie Malmsteen), one of the most versatile and name checked guitarists in Rock Keri Kelli (SLASH’S SNAKE PIT, Alice Cooper, VINCE NEIL BAND and a hundred more), the most iconic bass player in Heavy Metal history, Rudy Sarzo (who’s work with Ozzy Osbourne, Dio, Whitesnake and many more has earned him an almost revered status in Heavy Music) and long time SCORPIONS drummer James Kottak (also from MONTROSE, WARRANT, KINGDOME COME & more). 03. "Never Let You Go"
07. "Only The Pretty Ones"